[Moreover], the question of the relation, if any, between race and intelligence has very little scientific importance (as it has no social importance, except under the assumptions of a racist society) … As to social importance, a correlation between race and mean I.Q. (were this shown to exist) entails no social consequences except in a racist society in which each individual is assigned to a racial category and dealt with not as an individual in his own right, but as a representative of this category … In a non-racist society, the category of race would be of no greater significance [than height]. The mean I.Q. of individuals of a certain racial background is irrelevant to the situation of a particular individual, who is what he is. Recognizing this perfectly obvious fact, we are left with little, if any, plausible justification for an interest in the relation between mean I.Q. and race, apart from the ‘justification’ provided by the existence of racial discrimination. 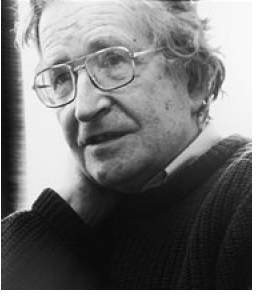 Chomsky, Noam. 1972. ‘I.Q. Tests: Building Blocks for the New Class System.’ Rampart:24–30. pp. 26, 27, 28, 30.